For other uses, see Irish nobility. The Peerage of Ireland consists of those titles of nobility created by the English monarchs in their capacity as Lord or King of Ireland, or later by monarchs of the United Kingdom of Great Britain and Ireland. [note 1] The creation of such titles came to an end in the 19th century. The ranks of the Irish peerage are Duke, Marquess, Earl, Viscount and Baron. As of 2016, there were 135 titles in the Peerage of Ireland extant: two dukedoms, ten marquessates, 43 earldoms, 28 viscountcies, and 52 baronies. The Crown of the United Kingdom of Great Britain & Northern Ireland continues to exercise jurisdiction over the Peerage of Ireland, including those peers whose titles derive from places located in what is now the Republic of Ireland. Article 40.2 of the Irish Constitution forbids the state conferring titles of nobility and a citizen may not accept titles of nobility or honour except with the prior approval of the Government. As stated above, this issue does not arise in respect of the Peerage of Ireland, as no creations of titles in it have been made since the Constitution came into force. In the following table, each peer is listed only by his or her highest Irish title, showing higher or equal titles in the other peerages. Those peers who are known by a higher title in one of the other peerages are listed in italics. William FitzGerald, 2nd Duke of Leinster. A handful of titles in the peerage of Ireland date from the Middle Ages. Before 1801, Irish peers had the right to sit in the Irish House of Lords, on the abolition of which by the Union effective in 1801 by an Act of 1800 they regularly elected a small proportion: twenty-eight representative peers of their number to the House of Lords at Westminster. Both before and after the Union, Irish peerages were often used as a way of creating peerages which did not grant a seat in the English House of Lords and so allowed the grantee (such as Clive of India) to sit in the House of Commons in London. As a consequence, many Irish peers had little or no connection to Ireland, and indeed the names of some Irish peerages refer to places in Great Britain (for example, the Earldom of Mexborough refers to a place in England and the Ranfurly refers to a village in Scotland). Irish peerages continued to be created for almost a century after the Union, although the treaty of Union placed restrictions on their numbers: three needed to become extinct before a new peerage could be granted, until there were only one hundred Irish peers (exclusive of those who held any peerage of Great Britain subsisting at the time of the union, or of the United Kingdom created since the union)– a condition still not achieved. There was a spate of creations of Irish peerages from 1797 onward, mostly peerages of higher ranks for existing Irish peers, as part of the negotiation of the Act of Union; this ended in the first week of January 1801, but the restrictions of the Act were not applied to the last few peers. Irish peerages were created in the early nineteenth century at least as often as the Act permitted, but the pace then slowed. The last two grants of Irish peerages were: the promotion of the Marquess of Abercorn (a peerage of Great Britain) to be Duke of Abercorn in the Irish Peerage when he became Lord-Lieutenant of Ireland in 1868 and the granting of the Curzon of Kedleston barony to George Curzon when he became Viceroy of India in 1898. Peers of Ireland have precedence below peers of England, Scotland, and Great Britain of the same rank, and above peers of the United Kingdom of the same rank; but Irish peers created after 1801 yield to United Kingdom peers of earlier creation. Accordingly, the Duke of Abercorn (the junior Duke in the Peerage of Ireland) ranks between the Duke of Sutherland and the Duke of Westminster (both dukes in the Peerage of the United Kingdom). When one of the Irish representative peers died, the Irish Peerage met to elect his replacement; but the officers required to arrange this were abolished as part of the creation of the Irish Free State. The existing representative peers kept their seats in the House of Lords, but they have not been replaced. Since the death of Francis Needham, 4th Earl of Kilmorey in 1961, none remains. The right of the Irish Peerage to elect representatives was abolished by the Statute Law (Repeals) Act 1971. Titles in the Peerage of the United Kingdom have also referred to places in Ireland, for example Baron Arklow (created 1801 and 1881) or Baron Killarney (created 1892 and 1920). Since partition, only places in Northern Ireland have been used, although the 1880 title "Baron Mount Temple, of Mount Temple in the County of Sligo", was recreated in 1932 as "Baron Mount Temple, of Lee in the County of Southampton". In the following table of the Peerage of Ireland as it currently stands, each peer's highest titles in each of the other peerages (if any) are also listed. Irish peers possessed of titles in any of the other peerages (except Scotland, which only got the right to an automatic seat in 1963, with the Peerage Act 1963) had automatic seats in the House of Lords until 1999. Lord Kildare in the Peerage of the United Kingdom. Earl of Abercorn in the Peerage of Scotland. The Marquess of Waterford 1789 Sat as Lord Tyrone in the Peerage of Great Britain in House of Lords until 1999. The Marquess of Downshire 1789 Sat as Earl of Hillsborough in the Peerage of Great Britain in House of Lords until 1999. Sat as Lord Templemore in the Peerage of the United Kingdom in House of Lords from 1975–1999. The Marquess of Headfort 1800 Sat as Lord Kenlis in the Peerage of the United Kingdom in House of Lords from 1831–1999. The Marquess of Sligo 1800 Sat as Lord Monteagle in the Peerage of the United Kingdom in House of Lords from 1806–1999. The Marquess of Ely 1800 Sat as Lord Loftus in the Peerage of the United Kingdom in House of Lords from 1801–1999. The Marquess of Londonderry 1816 Sat as Earl Vane in the Peerage of the United Kingdom in House of Lords from 1823–1999. The Marquess Conyngham 1816 Sat as Lord Minster in the Peerage of the United Kingdom in House of Lords from 1821–1999. Earl Talbot in the Peerage of Great Britain. Sat as Lord Boyle of Marston in the Peerage of Great Britain in House of Lords until 1999. The Earl of Meath 1627 Sat as Lord Chaworth in the Peerage of the United Kingdom in House of Lords from 1831–1999. The Earl of Desmond 1628 Earl of Denbigh in the Peerage of England. The Earl of Drogheda 1661 Sat as Lord Moore in the Peerage of the United Kingdom in House of Lords from 1954–1999. The Earl of Granard 1684 Sat as Lord Granard in the Peerage of the United Kingdom in House of Lords from 1806–1999. The Earl of Kerry 1722 Marquess of Lansdowne in the Peerage of Great Britain. The Earl of Darnley 1725 Sat as Lord Clifton in the Peerage of England in House of Lords from 1937–1999. Lord Duncannon in the Peerage of the United Kingdom. The Earl of Carrick 1748 Sat as Lord Butler in the Peerage of the United Kingdom in House of Lords from 1912–1999. The Earl of Shelburne 1753 Marquess of Lansdowne in the Peerage of Great Britain. The Earl of Shannon 1756 Lord Carleton in the Peerage of Great Britain in House of Lords from 1786–1999. The Earl of Arran 1762 Sat as Lord Sudley in the Peerage of the United Kingdom in House of Lords from 1884–1999. The Earl of Courtown 1762 Sat as Lord Saltersford in the Peerage of Great Britain in House of Lords from 1796–1999. The Earl of Clanwilliam 1776 Sat as Lord Clanwilliam in the Peerage of the United Kingdom in House of Lords from 1828–1999. Sat as Lord Pakenham in the Peerage of the United Kingdom in House of Lords from 1961–1999. The Earl of Enniskillen 1789 Sat as Lord Grinstead in the Peerage of the United Kingdom in House of Lords from 1815–1999. The Earl Erne 1789 Sat as Lord Fermanagh in the Peerage of the United Kingdom in House of Lords from 1876–1999. The Earl of Lucan 1795 Sat as Lord Bingham in the Peerage of the United Kingdom in House of Lords from 1934–1974/1999. The Earl of Donoughmore 1800 Sat as Viscount Hutchinson in the Peerage of the United Kingdom in House of Lords from 1821–1999. The Earl of Limerick 1803 Sat as Lord Foxford in the Peerage of the United Kingdom in House of Lords from 1815–1999. The Earl of Clancarty 1803 Sat as Viscount Clancarty in the Peerage of the United Kingdom in House of Lords from 1823–1999. Sat as Lord Acheson in the Peerage of the United Kingdom in House of Lords from 1847–1999. Sat as Lord Somerton in the Peerage of the United Kingdom in House of Lords from 1873–1999. The Earl of Listowel 1822 Sat as Lord Hare in the Peerage of the United Kingdom in House of Lords from 1869–1999. The Earl of Ranfurly 1831 Sat as Lord Ranfurly in the Peerage of the United Kingdom in House of Lords from 1826–1999. The Viscount Gormanston 1478 Sat as Lord Gormanston in the Peerage of the United Kingdom in House of Lords from 1868–1999. The Viscount Mountgarret 1550 Sat as Lord Mountgarret in the Peerage of the United Kingdom in House of Lords from 1911–1999. The Viscount Grandison 1620 Earl of Jersey in the Peerage of England. The Viscount Lumley 1628 Earl of Scarbrough in the Peerage of England. The Viscount Massereene 1660 Held by with Viscount Ferrard in the Peerage of Ireland. Sat as Lord Oriel in the Peerage of the United Kingdom from 1821–1999. 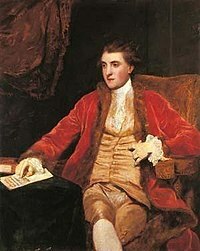 Lord Newburgh in the Peerage of Great Britain. The Viscount Downe 1681 Sat as Lord Dawnay in the Peerage of the United Kingdom in House of Lords from 1897–1999. The Viscount Midleton 1717 Sat as Lord Brodrick in the Peerage of Great Britain in House of Lords from 1796–1999. The Viscount Boyne 1717 Lord Brancepeth in the Peerage of the United Kingdom from 1866–1999. Lord Verulam in the Peerage of Great Britain. The Viscount Gage 1720 Sat as Lord Gage in the Peerage of Great Britain in House of Lords from 1790–1999. The Viscount Powerscourt 1743 Sat as Lord Powerscourt in the Peerage of the United Kingdom in House of Lords from 1885–1999. The Viscount Ferrard 1797 Held by with Viscount Massereene in the Peerage of Ireland. The Viscount Monck 1801 Sat as Lord Monck in the Peerage of the United Kingdom in House of Lords from 1866–1999. In Ireland, barony may also refer to an obsolete political subdivision of a county. There is no connection between such a barony and the noble title of baron. The Lord Digby 1620 Sat as Lord Digby in the Peerage of Great Britain in House of Lords from 1765–1999. Lord Conway in the Peerage of England. The Lord Newborough 1715 Marquess of Cholmondeley in the Peerage of the United Kingdom. Lord Clive in the Peerage of Great Britain. The Lord Mulgrave 1767 Marquess of Normanby in the Peerage of the United Kingdom. The Lord Kensington 1776 Lord Kensington in the Peerage of the United Kingdom in House of Lords from 1886–1999. The Lord Westcote 1776 Viscount Cobham in the Peerage of Great Britain. The Lord Hood 1782 Viscount Hood in the Peerage of Great Britain. Sat as Lord Eddisbury in the Peerage of the United Kingdom in House of Lords from 1903–1999. The Lord Auckland 1789 Sat as Lord Auckland in the Peerage of Great Britain in House of Lords from 1793–1999. The Lord Bridport 1794 Viscount Bridport in the Peerage of the United Kingdom. The Lord Carrington 1796 Sat as Lord Carrington in the Peerage of Great Britain in House of Lords from 1797–1999. The Lord Rossmore 1796 Sat as Lord Rossmore in the Peerage of the United Kingdom in House of Lords from 1838–1999. The Lord Henley 1799 Sat as Lord Northington in the Peerage of the United Kingdom in House of Lords from 1885–1999. The Lord Henniker 1800 Sat as Lord Hartismere in the Peerage of the United Kingdom in House of Lords from 1866–1999. The Lord Carew 1834 Sat as Lord Carew in the Peerage of the United Kingdom in House of Lords from 1838–1999. The Lord Oranmore and Browne 1836 Sat as Lord Mereworth in the Peerage of the United Kingdom in House of Lords from 1926–1999. ^ With the establishment of the United Kingdom of Great Britain and Ireland, the separate title "King of Ireland" ceased. ^ "The Peerage of Ireland genealogy project". geni_family_tree. Retrieved 2017-07-12. ^ "The Peerage of Ireland". www.cracroftspeerage.co.uk. Retrieved 2017-07-12. Lodge, John; Archdall, Mervyn (1789). The Peerage of Ireland: Volume I. Dublin: James Moore. Lodge, John; Archdall, Mervyn (1789). The Peerage of Ireland: Volume II. Dublin: James Moore. Kimber, Edward (1768). The Peerage of Ireland: Volume II. London: J Alman.